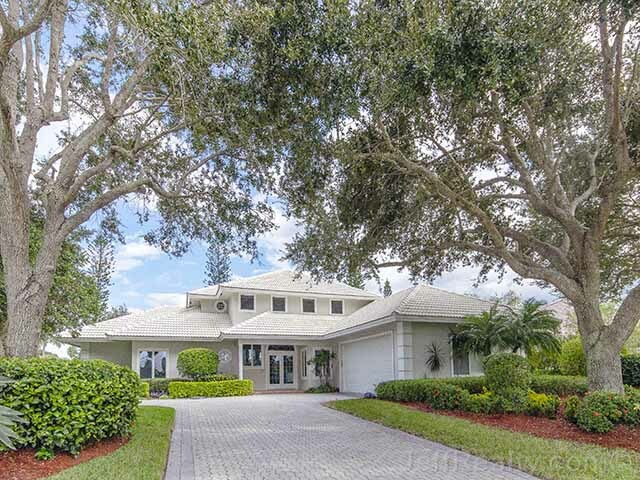 Unmatched spectacular golf & lake views at 183 Thornton Drive in Preston at PGA National! Just past the columned front porch, through double glass French doors, you’ll enter a dramatic two-story space, flooded with light from soaring ceilings, clerestory windows, and stunning glass expanses with outstanding views. The spacious living room showcases an open staircase that rises to a loft-like balcony. Crisp light walls and gorgeous Mexican-tile flooring create a tropical oasis ambiance. A sprawling, ground-floor master suite features a huge walk-in closet and a luxurious, large bath. There is also an adjacent den or bedroom and guest bath. Equally impressive is the massive granite island and expansive granite counters for entertaining. Cooking enthusiasts will appreciate the terrific appliance layout, double ovens, and Sub-Zero. Family and friends will have plenty of room and still be together where kitchen, large breakfast bay, and family room with fireplace come together as one great space. 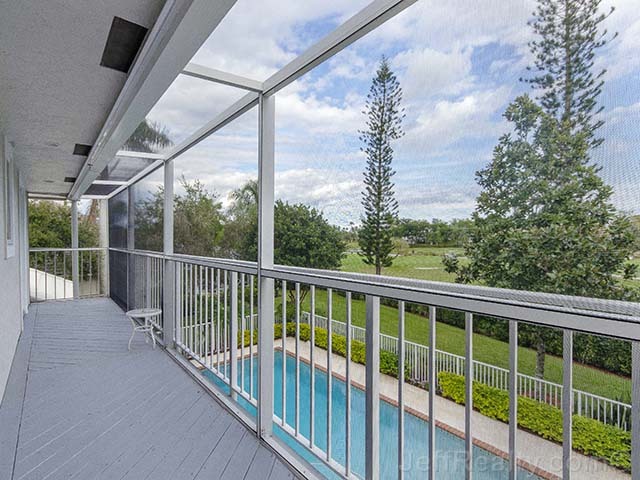 Lots of windows and a full glass bay overlook the refreshing 34×16 blue pool and landscaped patio area with attractive, white, aluminum, care-free fencing. Plantation shutters add to the ambiance. The exceptional outdoor living space sits at the edge of a beautiful section of the golf course with sparkling lake views and sunrises with the eastern exposure. Nice watching the sunrise with a warm cup of coffee. Peace of mind can be yours with hurricane shutters and CBS construction. Posted in PGA National, PGA National homes, PGA National homes for sale on December 13, 2013 at 10:02 am.